On April 20, Plan A Entertainment relayed through an official statement that A Pink's Na-Eun is currently recovering from some ankle ligament pain. The label said, "She is currently focusing on recovery, after feeling continued pain in an ankle ligament she injured in the past. She is going through her day to day routine without excessive activity, so the condition isn't severe. She intends on getting plenty of rest while recovering. She has expressed wishes to carry out her promised schedules, so she will do so as planned. However, she will be sitting out from performances which contain active choreography moves, or events where she will have to use her legs." On April 19, Na-Eun attended various promotional events in Japan as scheduled. 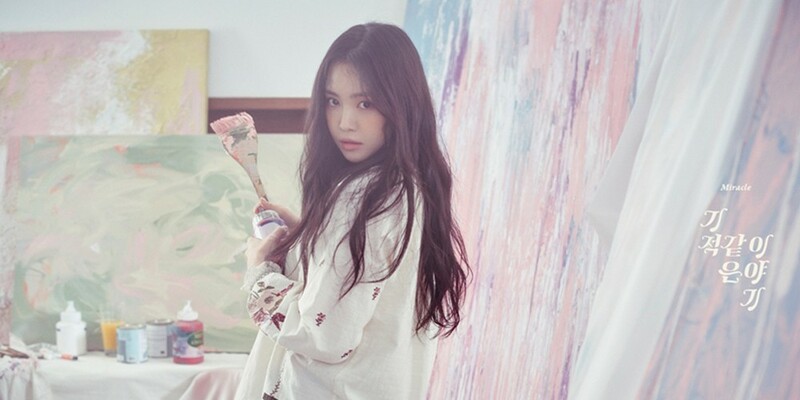 It seems that after a day of rest on April 20, Na-Eun will greet fans at A Pink's 7th-anniversary fan meeting on April 21, but she will unfortunately not be able to participate in A Pink's choreography stages.